Veterans Day was a week to reflect on my service, remember my friends and the good and bad times of more than 24 years in the United States Air Force as a Munitions Systems Specialist. My veteran journey started in 1982 as I turned 17 and my cousin and I both enlisted in the Air Force in Detroit when the MEPS station used to be across from the Renaissance Center by a block or two. 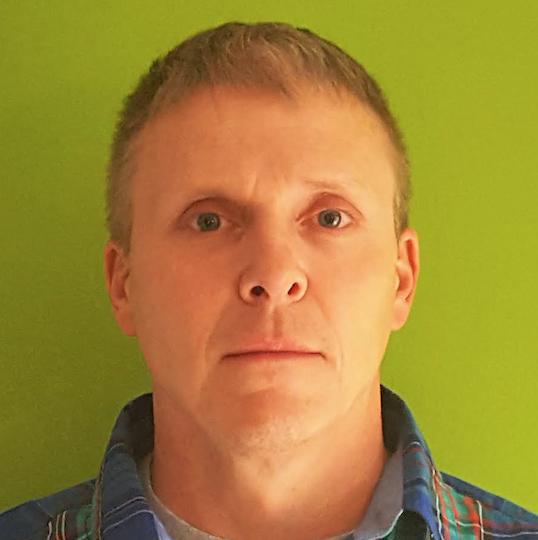 I left Plymouth, Michigan on April 24, 1983 after 9 months of delayed enlistment, still 17 years old. After 6 weeks, I made it through basic training in San Antonio, Texas and went to Lowry Air Force Base, Colorado for 12 weeks of technical school where I turned 18. My career took me all over Europe and the Middle East. When you spend half of your life in military service, you cover a lot of ground, meet a lot of folks and witness a lot of things. You also sacrifice, and sacrifice I did, missing family, birthdays, Christmas and every life event that you can imagine. I have never really known peace living under the threat of terrorism and participating in almost every military action the United States has undertaken during the past 25 years from the Cold War, to the Gulf War, to Bosnia and Iraq. In April, I returned from service in Afghanistan, fresh from the sounds of rockets landing nearby and distant small arms fire. This time around I was a DOD civilian supporting the Army Project Office, Mine Resistant Ambush Protected (MRAP) Vehicles Route Clearance Mission. After all this life becomes a mixed bag of emotions, and my past sometimes haunts me on Veterans Day. I have never participated in a Veterans Day Parade before. 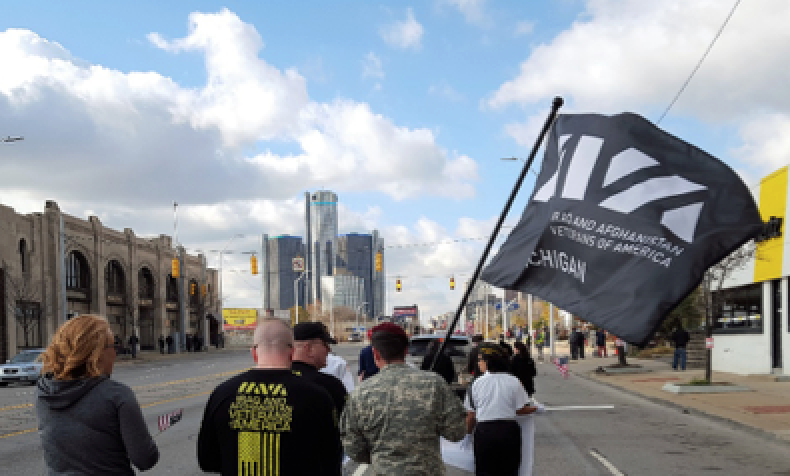 And, fittingly, this year IAVA was at the parade in Detroit, the city where I began. As I walked down Jefferson Avenue and looked down the street at the Renaissance Center, I reflected on my 24 year journey. A flood of emotions and memories came to mind. I remember my first assignment to Bitburg Air Base in Germany during the height of the cold war, when alert aircrafts were on a minutes notice and Russian and East German aircrafts were minutes away. I also reflect on my deployment during the Gulf War as part of the 7440th Combat Wing, building bombs and then deploying to Bosnia and Herzegovina, Zagreb and Croatia in support of Operation Joint Endeavor to be part of a peacekeeping force trying to bring stabilization to a country that suffered in ways not seen since WW II. Then, I remember participating in Operation Allied Force when peace was no longer feasible. It continued with watching the Twin Towers fall from my base in Al Jaber, Kuwait at the beginning of Operation Enduring Freedom as we spun up combat operations. Completing the shipment of thousands of containers of ammunition from our depot in Italy to begin Operation Iraqi Freedom. Then I deployed to Baghdad, Iraq to support the fight on the ground. Finally, I remember standing at midnight in Bagram Airfield in Afghanistan as Operation Enduring Freedom came to a quiet end. This is just the tip of the iceberg of my experiences. They say that a journey of a thousand miles begins with one step. It’s fitting that one journey that started and ended in Detroit is the beginning of another as a veteran 33 years later. My invitation to IAVA’s 9th Annual Heroes Gala in New York City was another start on a journey as a veteran. It was a chance to keep serving and to stay connected with my fellow veterans to support something once again. I was extremely humbled by the opportunity to come and support IAVA. As I was standing on the stage with my peers, I looked across the audience and felt pride in where I had arrived once again. That kid at 17 years old who had no opportunities was the same person standing on a stage in New York City representing a generation of veterans that never ask what’s in it for them, but what can they do to make a difference in other people’s lives. It’s what I hope is another thousand mile journey.